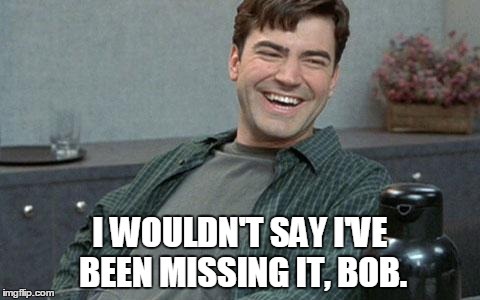 The sound of a modem connecting to the internet can be disconcerting the first time you hear it. The uninitiated might conclude this is how robots communicate with one another or that aliens have finally invaded earth, or worse yet, that his or her computer is about to explode. For all of you youngsters out there who have not had the joy of listening to the noises generated in the modem-dialing procedure, I’d recommend you YouTube it just for edification. The process begins simple enough with a typical dial tone followed by dialing. Then the magic happens. You might hear a couple of beeps then noises so diverse and bizarre English’s onomatopoeia has yet to catch up. Although I’m sure brighter wordsmiths than yours truly could conjure up better descriptions, I would describe the dial up sound like this. Imagine a man at the beach with a bird on his shoulders. The bird is attempting to squawk repeatedly with a beak full of water while the man strikes a triangle in rapid succession. Behind the fowl and human, construction is underway on a new condominium. And in an instant, a tsunami force wave envelopes them all. Now imagine all of this cacophony digitized and auto-tuned to a key unbeknownst to even the most progressive musicians. Yeah, it's kind of like that. And yet, while that sound is far from melifluous, for me in late 2002 it brought much anticipation. My first year of college, I was away from my girlfriend. She in Stillwater, Oklahoma and I in Olathe, Kansas meant we entered the semester with the dreaded scarlet LDR: Long Distance Relationship. Few gave us a chance, and I think even the two of us wondered at times if we’d be able to keep it together. Indeed, dialup was already fading into the background of technology in 2002, but I lived off campus in the woods with my childhood friend, Pete, therefore dialup internet was our only option. So hunched over a particle board computer desk staring into the convex pane of CRT glass, I listened to that bird-triangle-construction tsunami. It meant I could chat over AIM with my sweetheart without succumbing to overages on daytime minutes. Never mind I was tying up the household land line (although in those days, we called it a telephone line). I was on the worldwide web talking about how lame it was I had to work Saturday night at Torre’s Pizzeria. And she could tell me how awesome it was living in a condo-style dormatory instead of those raunchy freshmen dorms most new Cowgirls had to endure. And yet, all the emoticons and LOLs in the world can’t effectively portray emotion, inflection, or sarcasm. So we were left pondering. Of course, even when we could talk on the phone, it wasn’t the same as being with one another in person. The process felt like a facsimile of a relationship, a smudged copy of something real. All the people around us were real—our friends, professors, classmates. Even if we didn’t know these people personally we could experience them: see, smell, and hear them without the filter of a telephone wafer and radio towers. Our relationship? It wasn’t unreal, but it felt a bit like working construction with an impending tsunami. It seemed like all our hard work would inevitably come crashing down. If absence makes the heart grow fonder, ours were just bags of mush. I’m not sure why I remember this occasion two decades later, but his response was interesting to me. “I worship God in my own way. I believe in God and Jesus, but I don’t need church.” Even for me, an introvert, that seemed like a lonely and depressing way to experience God. 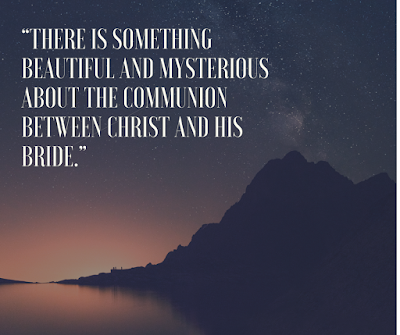 The reasons for not attending are many, but one reason for showing up should far outweigh those: growing more intimate with your savior. I’m not a legalist. Just a few weeks ago we skipped church because we were all exhausted from the week. I’m not talking about missing a Sunday here or there, I’m talking about a lack of commitment to attendance or—like the man at door did—swearing off church altogether. Yes you can pray and read scripture on your own, and those things are amazing and important—critical even to spiritual health. But solo devotional time cannot recreate the experience of corporate worship. Note: this does not have to be in a traditional “church” building, but can take place in focused small groups or nontraditonal church gatherings too. The Spirit is not limited to the confines of the church walls, but I can tell you from personal experience, there have been countless moments I have felt the presence of God in church. Bottom line: exclusively communicating with God devoid of a church connection is like using dialup and instant messaging to talk to your girlfriend. Over time, you’ll get the sense something is missing. You can have genuine and amazing interactions one on one with God. I can, I have, and I still do. 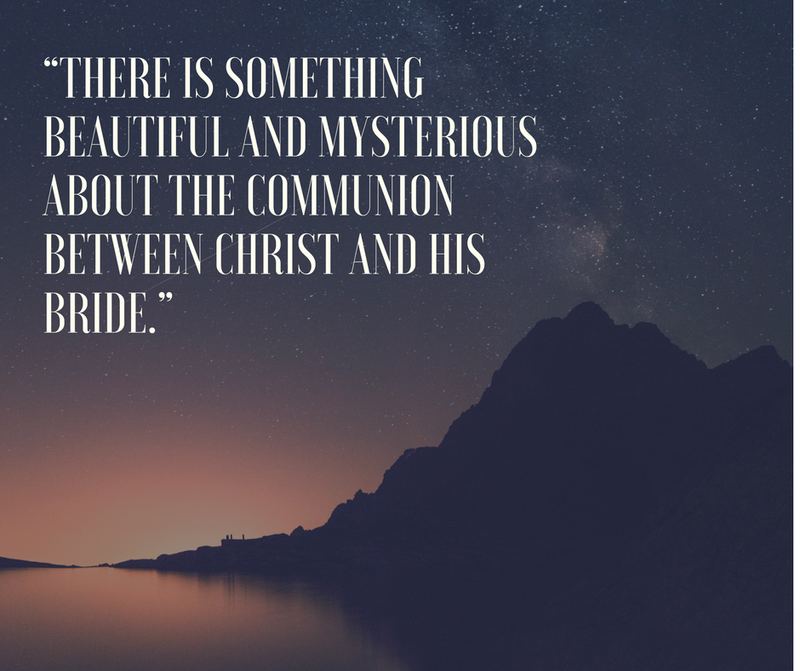 But there is something beautiful and mysterious about the communion between Christ and his bride. Do the heavens part every week at church? Does the Spirit, like a dove, descend on parishioners? Do tongues of fire alight on congregates every Sunday? Absolutely not. But then again, even the best romances have dull moments. Moments where you find out your partner isn’t a great driver or really overcooked that chicken. But these moments are the real slices of life that lead to intimacy and enhance the times of ecstasy. God, of course, is perfect, so His chicken is always a juicy 165 degrees Fahrenheit, but you get my drift. The only way to achieve intimacy is through committed, consistent quality time. Again, yes, you can spend time with God on your own (and you should do so every day), but if you prefer FaceTime to face time, then go for it. Listen, I’m the king of devotion advocation. As an introvert, it’s so easy and tempting to withdrawal into quiet time-only attitude. What’s that? The church is filled with nasty people? Perfect! That’s exactly where they should be. Pray for them. Encourage them. Be Jesus to them. Gathering with God’s people is not first about being blessed but about being a blessing. It’s not first about getting but about giving. . . In those times we feel our zeal waning, when we feel the temptation to skip out on a Sunday or withdraw altogether, we should consider our God-given responsibility to encourage “one another, and all the more as you see the Day drawing near.” This text is not about us, but about them. This text is not for Christian individuals but Christian communities. 1. “Americans Divided on the Importance of Church,” Barna Group, March 24, 2014, https://www.barna.com/research/americans-divided-on-the-importance-of-church/. 2. Tim Challies, “The Worst Consequence of Skipping Church,” Challies.com, April 26, 2017, https://www.challies.com/articles/the-worst-consequence-of-skipping-church/.